JERSEY CITY, N.J. – A gunman who killed a rookie officer responding to a report of an armed robbery at a drugstore early Sunday never tried to rob the store and instead lay in wait for police, telling a witness to watch the news because he was “going to be famous,” authorities said. 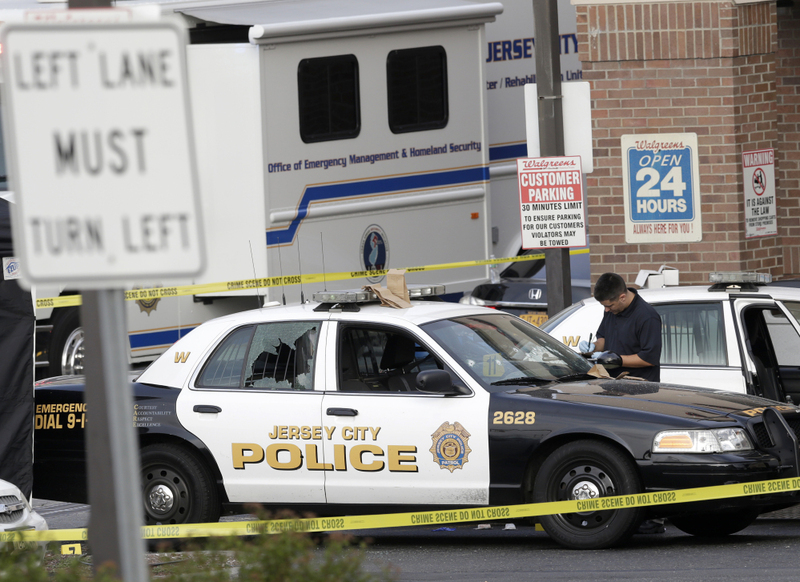 Lawrence Campbell shot Officer Melvin Santiago in the head shortly after he and his partner arrived at the 24-hour Walgreens at around 4 a.m., Jersey City Mayor Steven Fulop said. 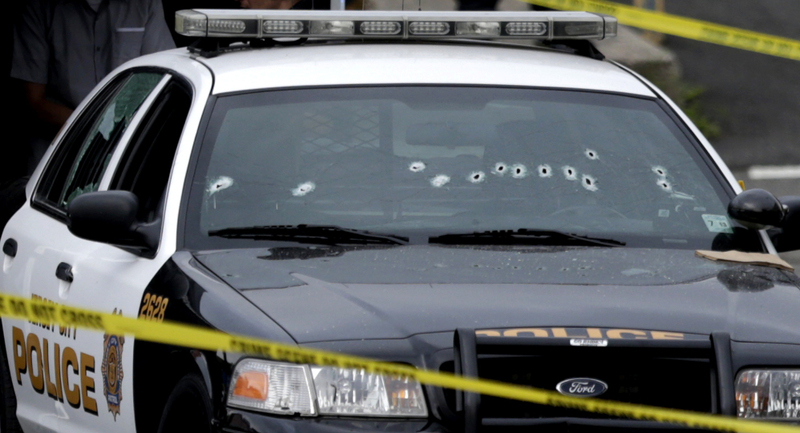 Other officers returned fire at Campbell, killing him. Campbell’s body remained on the ground next to the bullet-riddled cruiser for more than five hours after the shooting before it was placed in a coroner’s van and taken away. The Jersey City Police Benevolent Association said in a statement that their hearts were heavy over Santiago’s death. Gary Nahrwold, 24, recalled his friend Santiago first saying a decade ago that he wanted to become a police officer. Nahrwold also hopes to join the force and said he won’t be discouraged by Santiago’s slaying.